Recruitment across the 17 University Technical Colleges (UTCs) averaged around 30 per cent in 2013/14, it has been revealed. 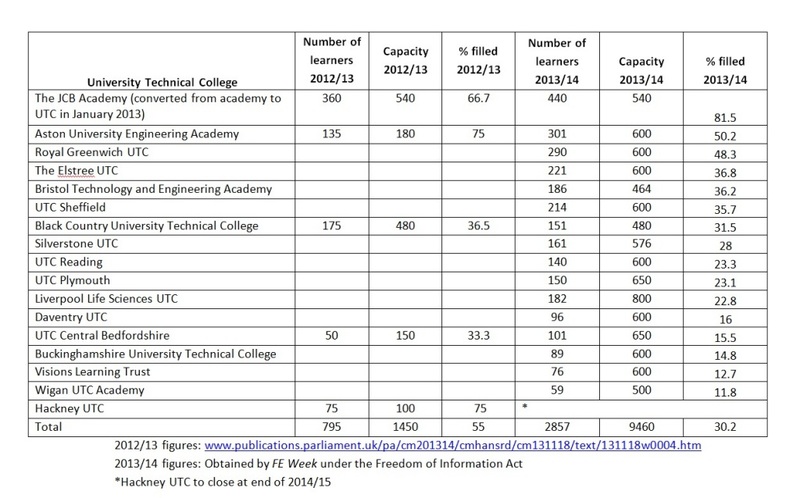 An investigation by Academies Week’s sister paper FE Week has revealed there were around 9,500 places in total available in UTCs, but fewer than 3,000 were filled [see below]. Figures obtained by FE Week under the freedom of information act revealed that all of the 17 UTCs operating in 2013/14 were undersubscribed, with five running at a capacity of less than 20 per cent. 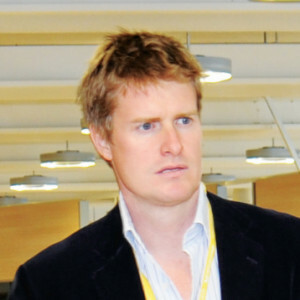 It comes after shadow Education Secretary Tristram Hunt (left) spoke of unknown costs and recent failure as reasons to be cautious over UTC growth. A Department for Education (DfE) spokesperson said that with most UTCs having only opened last year, they were “not expected to reach their capacity for a number of years”. But despite this, and despite the low enrolment numbers, he insisted the “recruitment picture is improving dramatically”. Nevertheless, the poor figures will also come as a huge blow to the Baker Dearing Educational Trust, which oversees UTCs, having seen overall enrolment in 2012/13 at 55 per cent. And Hackney UTC has already revealed it will not be reopening next September having attracted just 29 of its target of 75 pupils for 2014/15. The UTC project was launched in 2011 — two years before colleges were able to recruit full-time learners from the age of 14 — and has enjoyed cross-party support. However, their Ofsted grades have not justified such positive backing. Of the five inspections to date, one resulted in an inadequate rating, two were deemed to require improvement, while the fourth and fifth were graded as good. Speaking at the CBI ‘Raising Ambition for all in Schools’ conference last week, Mr Hunt said he was supportive in principle of the UTCs, in response to a question by Academies Week, but would not set a figure of how many more should be set up, instead referring to “organic growth” – not committing to the proposal by Andrew Adonis for 100 UTCs by 2020. “There should be considerable growth in UTCs but I won’t put a figure on it,” he said. “I want to get my hands on the Department for Education books as I think we have pretty hairy resources. The Association of Colleges (AoC) is among the organisations which have called for a rethink on UTCs. 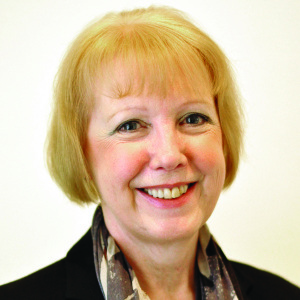 The Baker Dearing Educational Trust spokesperson said: “The technical education pathway offered by UTCs is wholly new to the English school system and we expected it would take time for them to reach their maximum capacity.